Read more about Brockbank Halloween Fun! Brockbank Students Enjoy "Witches Brew"
Principal Larraine Nelson and Sherry Plaisted serve "Witches Brew" to students at lunch. Read more about Brockbank Students Enjoy "Witches Brew"
Friday, October 30, Brockbank Elementary celebrated Halloween by having their annual parade around the school. The weather cooperated so students could show off their costumes to parents, grandparents, and other students. Also to help celebrate room parents came to the school and hosted some fun holiday activities, and brought yummy treats to the classrooms. It was a great way to end our Red Ribbon Week! Be a "Smartie" and scare the pants off drugs! Brockbank Students and Faculty Play Kickball! Thursday afternoon to go along with sports day and staying healthy, faculty members and sixth grade students played a friendly kickball game. Students from the other grades cheered on the sidelines. It was a fun way to end the day! 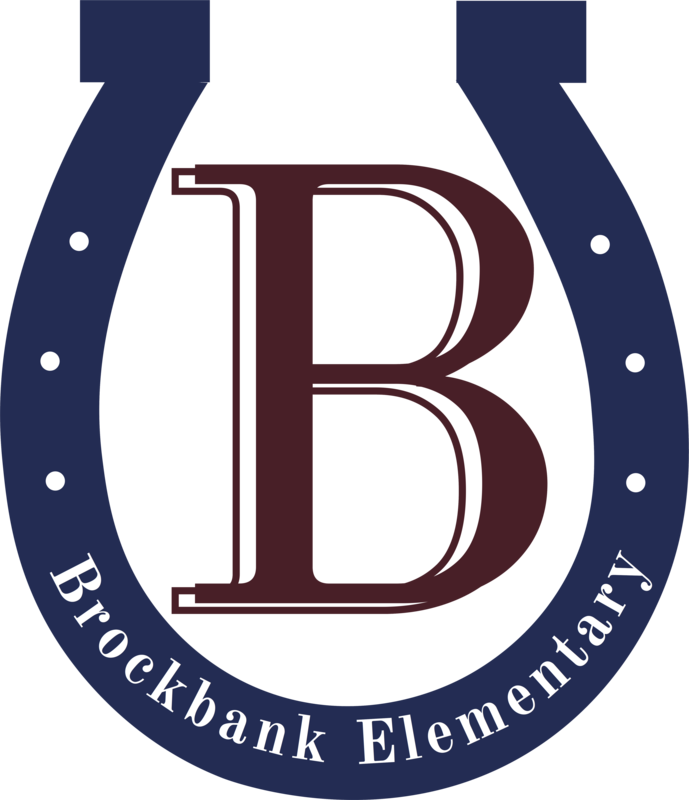 Read more about Brockbank Students and Faculty Play Kickball! Brockbank Red Ribbon - "Drink Up! Water is Great"
Thursday, October 29, Red Ribbon Week continues with students wearing their favorite sport shirt. During lunch recess the Red Ribbon Council handed out water bottles with the saying “Drink up! Water is Great!” Students learned how important it is to remember to stay healthy and stay active, physically and mentally. A healthy mind is less likely to take drugs! For a fun activity some of the Spanish Fork High School athletes came to Brockbank during their lunch hour to play with students. Some of the high school students attended elementary school at Brockbank! Read more about Brockbank Red Ribbon - "Drink Up! Water is Great"
Brockbank Red Ribbon Theme "STOP Violence. Give Hugs Instead!" Wednesday, October 28, for Red Ribbon Week students wore purple to represent that Brockbank students will, "STOP violence. Give hugs instead!". Teachers reinforced the importance to students of being violence free. What they should do if they see violence, or what to do if someone is being violent toward them. The students were each given a Hershey Chocolate Hug. Read more about Brockbank Red Ribbon Theme "STOP Violence. Give Hugs Instead!" Brockbank Red Ribbon Week Fun! Brockbank lunch ladies help with the "Red Ribbon Week" fun by giving cute Halloween hats and bands to lucky random winners. Read more about Brockbank Red Ribbon Week Fun! Brockbank Red Ribbon - "Your Life Matters Saying No is Your Life Saver!" Read more about Brockbank Red Ribbon - "Your Life Matters Saying No is Your Life Saver!" Thanks to Brockbank's Amazing Families Zupas Night was a Success! Tuesday, September 29, Zupas sponsored a Brockbank night. A percentage of sales made that night was given to our school. Thanks to our great Brockbank families we earned $469.35 from just one night! We would like to thank Zupas for their support in education and all of our amazing Brockbank families that participated in that fun evening! We will be having another Zupas Brockbank Night, Tuesday, November 10, so put it on your calendar! Read more about Thanks to Brockbank's Amazing Families Zupas Night was a Success! Brockbank Red Ribbon Week, "Take a Stand Against Drugs!" October 26 - 30, 2015 is Red Ribbon Week at Brockbank Elementary. There are a lot of great activities planned this week to remind us that being active, being kind, and having a healthy lifestyle is the way to live! Today, October 26, the school had a special assembly to get Red Ribbon Week off to a great start! Members BYU Color Guard came to our school and performed and also shared how living drug-free helped them be where they are today! The theme for today was, "Take a Stand Against Drugs!" The students were given a red wrist band to wear all week and pledge to stay drug free. Read more about Brockbank Red Ribbon Week, "Take a Stand Against Drugs!"